Attorney Debra S. Katz and her client, Professor Christine Blasey Ford, have "accepted" the Committee's request to testify next week before the Senate next week regarding Professor Ford's allegation that Supreme Court nominee Brett Kavanaugh sexual assaulted her three decades ago, but have asked Senate Judiciary Chairman Chuck Grassley (R-Iowa) for another meeting this afternoon to discuss specifics regarding the process in which the testimony will occur. Based on Debra Katz's request for more time to discuss specifics, it does not appear that they will actually testify under the proposed plan by the Senate Judiciary Committee. "Dr. Ford accepts the Committee's request to provide her first-hand knowledge of Brett Kavanaugh's sexual misconduct next week," Katz's email read. But, she said the proposed order of business is "fundamentally inconsistent with the Committee's promise of a fair, impartial investigation into her allegations." Katz also said that her legal team and client were "disappointed" with the "leaks and bullying" which have "tainted" this process. Katz's team now asks for even more time to discuss the testimony, after 5 extended deadlines have been given already. 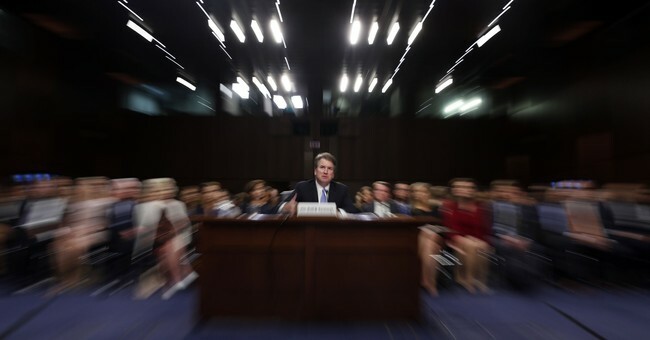 The Senate Judiciary Committee offered to hear Professor Ford's testimony on Wednesday, but it appears that her legal team believes this process to be unfair. Sen. Chuck Grassley originally threatened to hold the vote to confirm Kavanaugh on Monday if Katz and her team did not reach a reasonable agreement last night at 10:00 PM. They did not. Sen. Grassley then opted to give the Professor Ford's more time, until 2:30 PM today to come to sort of agreement. Based on this letter from Katz, it appears no agreement has been met. The 2:30 PM deadline was not an invitation to discuss more details, but to accept the Senate Judiciary Committee's offer. Katz and Ford did not accept their offer and instead made a counteroffer to discuss more details, thus delaying the process even further. As Sen, Orrin Hatch noted, any more delay of this process seems to indicate this is simply about "politics." After 5 days of delays, days in between replies as the lawyers continued countless media appearances, the committee requested response by 5 PM yesterday.